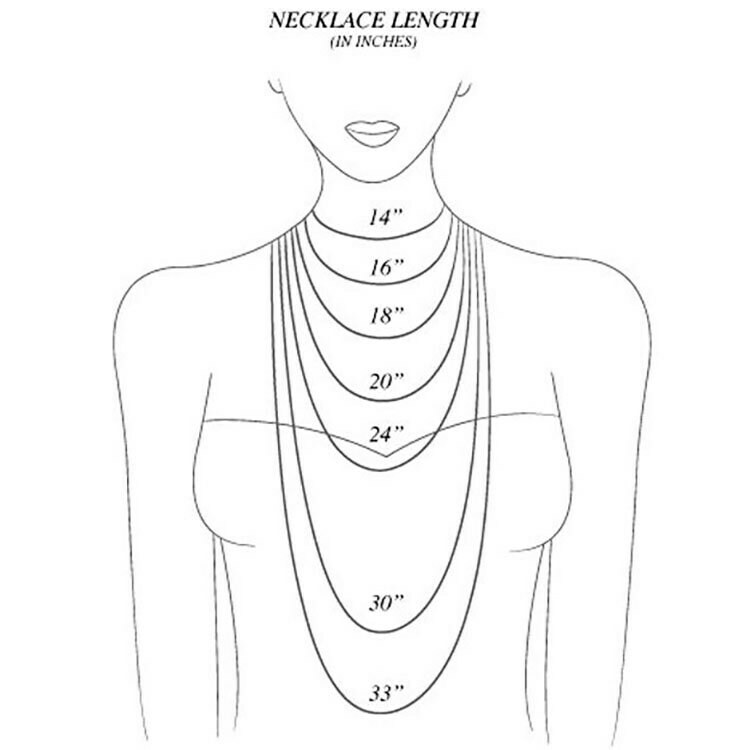 This listing is for (2) TWO necklaces. 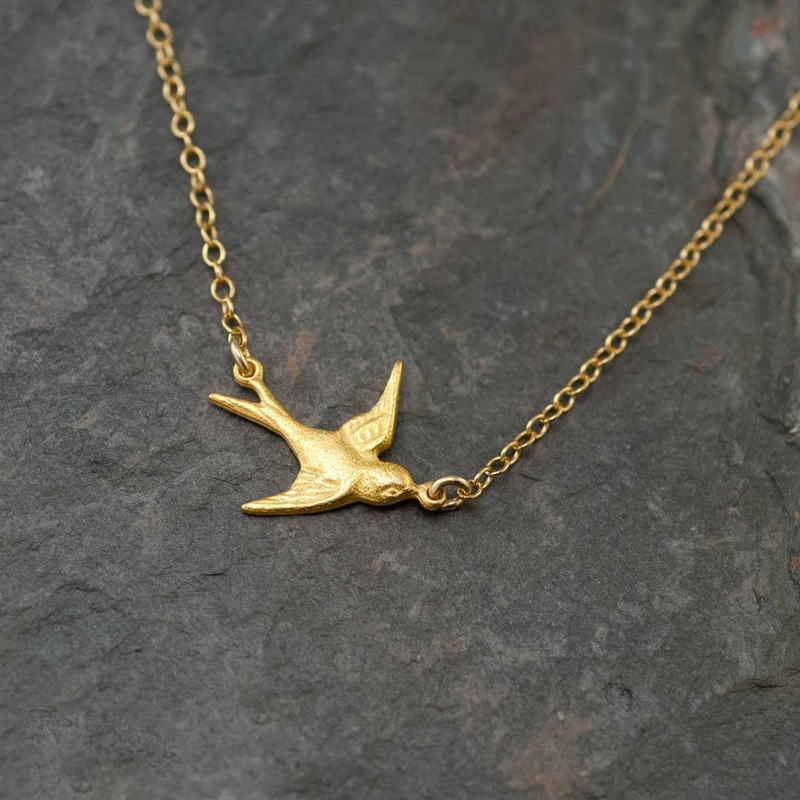 Sweet Little 24K Gold Vermeil Swallow bird connector in 14k gold filled chain. 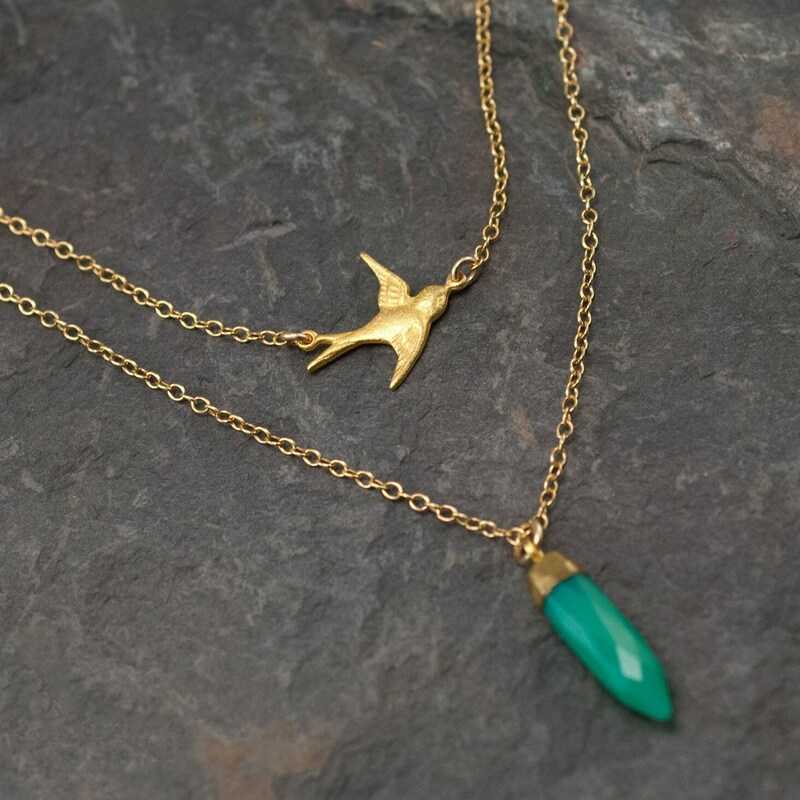 The bird measures about 1/2" x 3/4"
A 24k gold electroplated point shaped gemstone that is faceted, giving the pendant a little sparkle hanging from a 14k gold filled chain. Pendant measures approx. 6x20mm in size. - Chain and all components are 14k gold filled. - Select preferred length from the drop down menu. - Note: Stones may vary very slightly in shape, color and size. 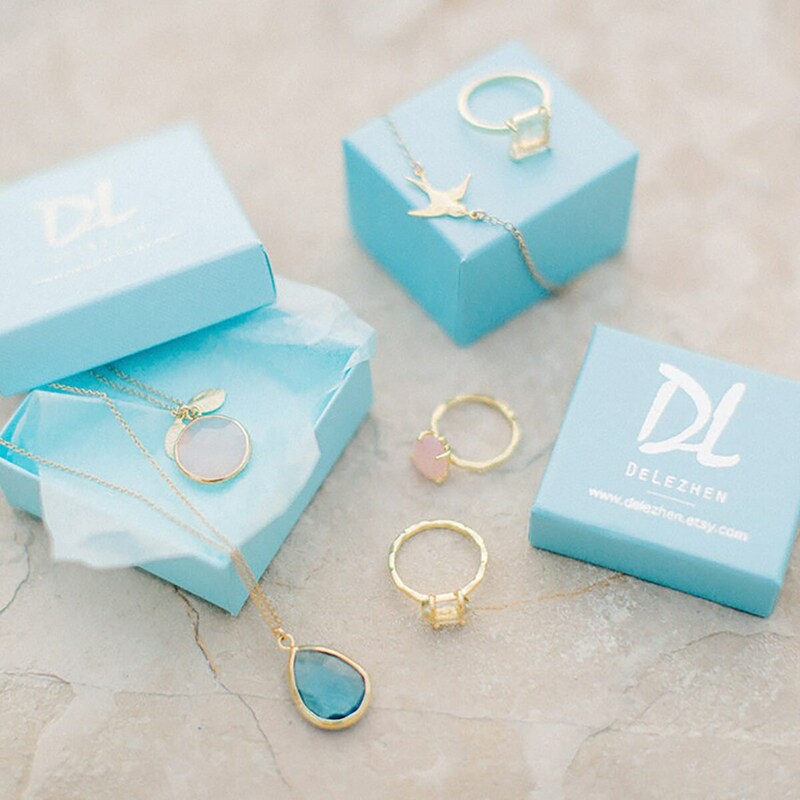 - Necklace will be shipped in a Delezhen branded box. 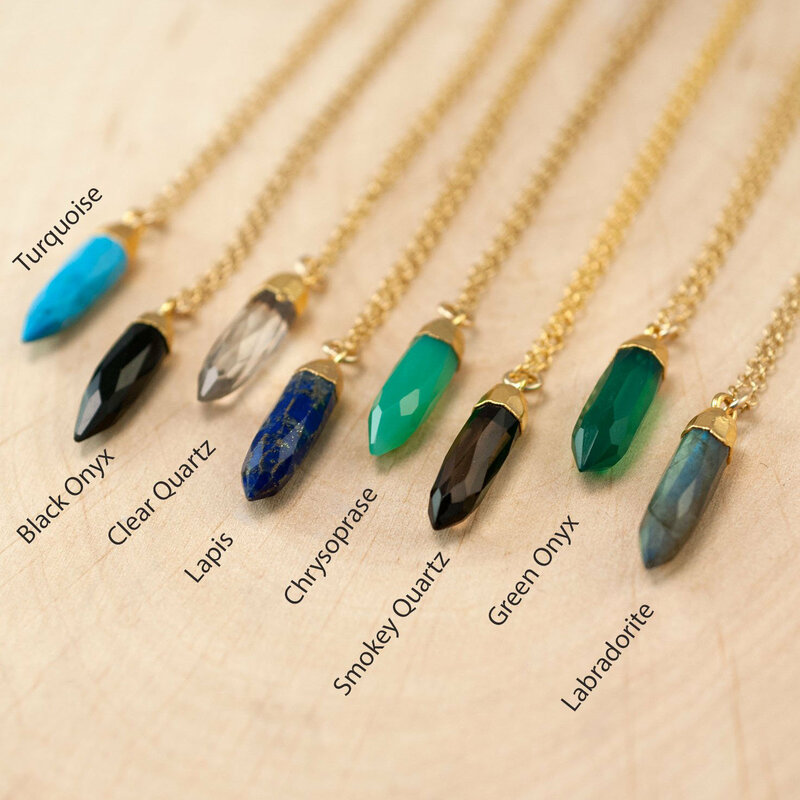 Beautiful necklaces! I have ordered from this shop several times and I have never been disappointed. Beautiful jewelry and fast delivery. Thank you!